Set in stunning gardens, overlooking the historic town of Stourport-on-severn. There's lots to explore in Worcestershire, including beautiful countryside, villages and historic towns. Our guests can enjoy a bottle of wine on arrival and dinner in the relaxed brasserie. 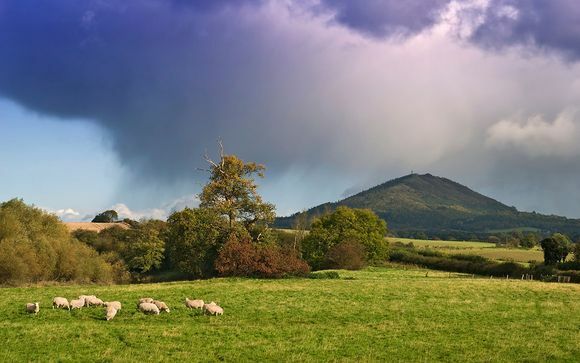 Famed for its eponymous condiment, invented by two Worcester chemists in 1837, Worcestershire marks the transition from the industrial heart of the Midlands to the peaceful countryside of the Welsh Marches. The southern and western fringes of the county burst with lush countryside and sleepy market towns, while the capital is a classic English county town, whose magnificent cathedral inspired the composer Elgar to write some of his greatest works. There’s so much to explore in Worcestershire − beautiful countryside, villages and historic towns. The Severn Valley Railway is a heritage railway in Shropshire and Worcestershire. The 16-mile heritage line runs along the Severn Valley from Bridgnorth to Kidderminster. Bewdley is described as Worcestershire’s most perfect small, Georgian town. Located on the scenic River Severn, its name, from the French words Beau Lieu, says it all – ‘beautiful place’. Witley Court is a Grade I listed building and was once one of the great houses of the Midlands, but today it is a spectacular ruin after being devastated by fire in 1937. With 68 ensuite bedrooms, stunning gardens, brasserie and leisure club, the Hallmark Hotel Stourport Manor has everything you need. We’re in an enviable position overlooking the historic town of Stourport-on-Severn, with many family attractions close by. Swim a few lengths before breakfast, or wind down at the end of the day on the tennis or squash courts. Maybe find sanctuary in the sauna or steam-room and let the cares of the day fade away. Please note: there is currently scaffolding round the building exterior as the hotel are maintaining the roof. There is also some papering and plastering taking place within the lounges, however, this is masked by temporary walls and guests are not affected by noise or dust. The recently refurbished rooms feature a modern design that will please even the most discerning guests and large comfy beds to ensure a restful and reinvigorating stay. 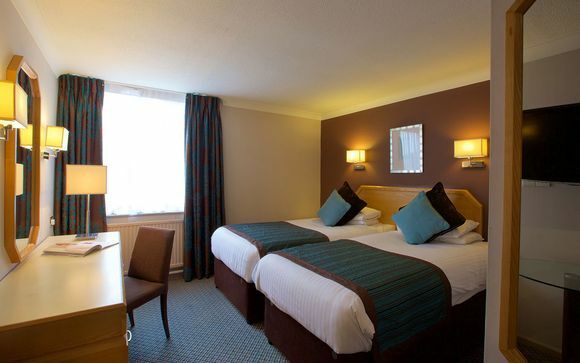 Rejuvenate after a day of exploration with the free tea and coffee making facilities in your room. With its blissful setting and reputation for fine food in an informal atmosphere, the brasserie-style restaurant at the Hallmark Hotel Stourport Manor is popular with both local people and guests. Here the chefs focus on classic dishes – with a mixture of British and Continental influences. The most important ingredient of all however, is the very best, fresh, seasonal produce, sourced locally wherever possible. With the hotel's enviable position close to the renowned food-producing area of the Vale of Evesham, some of those ingredients are very special indeed. The Hallmark Hotel Stourport Manor is on the outskirts of Stourport-on-Severn, close to the Worcestershire town of Kidderminster. It is within 20 minutes of the M5 motorway and close to a number of family and visitor attractions.